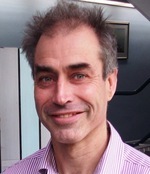 Professor Jon Billowes has been an academic member of staff at the University of Manchester since 1988 and is currently Head of the Nuclear Physics Group. He was awarded his Bachelor’s degree (1976) and D.Phil. (1981) by Oxford University. He carried out postdoctoral research at Oxford and then at the State University of New York at Stony Brook. Since 2003, Professor Billowes was involved with establishing the Dalton Nuclear Institute at the University of Manchester and then became its first Director of Education. He has been Director for the EPSRC-funded Nuclear Engineering Industrial Doctorate Centre and Course Director (2005 – 2017) for the NTEC MSc in Nuclear Science & Technology. His research interests are in properties of radioactive nuclei that can be measured via high-resolution laser spectroscopy. He was awarded the Institute of Physics Divisional Prize for Nuclear & Particle Physics 2012. Chris Goddard is a Senior Consultant at Magnox. He studied Physics at Manchester University and Medical Physics at Aberdeen University. His PhD in position emission tomography at Aberdeen University developed modelling techniques for blood perfusion imaging. The work led to a Lecturer’s position at Sultan Qaboos University in Oman where he taught medical students, undertook environmental radiation research and developed the Radiation Protection Service. In 2001, a return to the UK saw a move to nuclear decommissioning, joining Magnox and the Radiological Characterisation team. 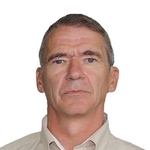 He has extensive experience in radioactive waste inventory determination using in-situ gamma spectrometry and activation calculations, in designing ILW waste assay systems and in supporting RWM Letter of Compliance submissions. His current role provides central support for the 10 sites in radiological assay and radiation shielding. Russell is Professor of Glass Science and Engineering at the University of Sheffield, which he joined in 1989 having completed a PhD in Physics at the University of Cambridge. 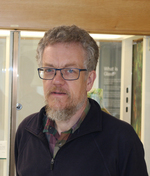 At Sheffield much of his work has focussed on nuclear waste vitrification and he has over 20 years experience of working on glass composition development for a variety of intermediate level and post-operational clean-out wastestreams. Understanding wasteform durability under possible disposal scenarios is also a major theme of his work. Russell was one of the founder members of the ISL at the University of Sheffield and he is the immediate Past-President of the Society of Glass Technology. He has also undertaken consultancy work in the area of waste vitrification for the IAEA. After graduating with a MEng degree from University of Cambridge in Aerothermal Engineering, I joined the Rolls-Royce Submarines business in 2006. I worked initially in system and plant design roles before moving on to reactor core thermal performance analysis, and latterly since 2014 have been working as Chief of Core Performance, accountable for all of the physics, shielding and core thermal analysis undertaken on the Submarine reactor. During my time in the Submarines business, I have also undertaken an additional MSc qualification in Nuclear Technology & Safety Management. In summer 2016 I joined Rolls-Royce’ Small Modular Reactor (SMR) project and since the beginning of 2017 have been the SMR Reactor Core Technical Lead. I am a Chartered Engineer and member of the Institute of Mechanical Engineers as well as the Institute of Physics. Dr John Lillington has worked for more than 40 years within the UK Nuclear Industry with the United Kingdom Atomic Energy Authority (UKAEA), its privatised sector, AEA Technology, Serco, Amec Foster Wheeler and most recently Wood. He originally graduated in mathematics from the University of London (BSc, PhD) and is a Fellow of the Institutes of Physics and Mathematics (FInstP, FIMA) and a Chartered Engineer (CEng). He is currently Chief Technologist, Nuclear Reactors within Wood. He is a part-time lecturer and examiner at several UK universities and has published two books and numerous articles on nuclear power related subjects. John was appointed as a member of the UK Nuclear Innovation and Research Advisory Board (NIRAB) to advise on R & D to underpin the UK Government’s vision for future nuclear energy. He is the UK representative and Chair of the European FORATOM R & D Task Group. 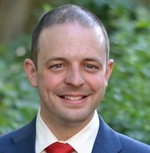 Ben Lindley is a Senior Reactor Physicist at Amec Foster Wheeler, with a PhD in Nuclear Engineering. Ben has extensive experience of reactor physics design and analysis on a current and next generation reactor systems, and currently leads multiple projects in the area of integrated simulation for nuclear energy. Ed is Portfolio Strategy Lead for the Decommissioning Division at Sellafield. He joined Sellafield in 2002 and is a Chartered Engineer through the IOM3. In 2011 moved to work in the Decommissioning Division’s Strategy & Technical department. He started doing strategy implementation work related to the FGMSP and the associated facilities. His next role covered all of the Strategy implementation elements associated with both Legacy Ponds & Silos and the Future Decommissioning of the entire Sellafield site. Ed’s role was then enhanced such that he became S&T Portfolio Manager and Portfolio Strategy Lead within Decommissioning Division to focus on the LP&S and support facilities. This role sees him act as Subject Matter Expert as Strategy Advisor to the Retrievals Strategy Authority. James McKinney has over 20 years’ experience in the nuclear industry and is the Head of Integrated Waste Management for the Nuclear Decommissioning Authority (NDA), which is the body responsible for the clean-up of the UK’s nuclear legacy sites. James is the NDA’s strategic lead for Integrated Waste Management and his key areas of interest are; radioactive waste storage and disposal, treatment & packaging, graphite management and decommissioning wastes. On radioactive waste management issues, James represents the UK at an international level including IAEA and NEA conferences and meetings. After completing his PhD in 1996, James joined BNFL’s Company Research Laboratory, which was based at the Springfields Site and was involved in waste treatment projects largely for Sellafield and Springfields. He then undertook a number of technical management roles at Springfields, Risley and Sellafield that covered all aspects of the waste management lifecycle. 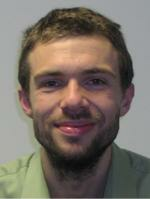 James joined the NDA in September 2005, as the ILW Strategy Manager and is a Fellow of the Royal Society of Chemistry. Paul has over 15 years’ experience in the nuclear industry working across both the civil and defence sectors. He has been with the Nuclear Innovation and Research Office (NIRO) since 2016 and in his role has been leading the coordination of technical input into the development R&D programmes with key stakeholders, working with the Nuclear Innovation and Research Advisory Board (NIRAB) to formulate advice to Ministers and representing NIRO/NIRAB within technical forums. Paul represents NIRO at a number of fora to facilitate coordination of nuclear R&D activities within the UK and maintain awareness of national and international technology developments and foresight. Prior to this role Paul worked in technical roles within the UK National Nuclear Laboratory, Rolls-Royce Submarines and AWE. Neil has been creating innovative products and technology solutions in consumer and industrial markets for over 25 years. Originally trained as a designer and mechanical engineer he has worked with start-ups and SMEs as well as large multinational brands in Europe, Asia and North America and been responsible for setting up global supply chains. Currently working for Createc, a small technology company specialising in sensor data fusion and applied imaging in a variety of industries, including Civil Nuclear, Defence, Security and Infrastructure. Before joining Createc at the end of 2015, Neil was with a large technology consultancy in Cambridge, UK. 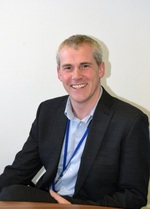 Chris has been the NIA’s Industrial Adviser since 2010, and has wide experience of policy and project development mainly focusing on energy and transport. He has also been an adviser to the OECD Nuclear energy Agency on nuclear new build financing and project development. 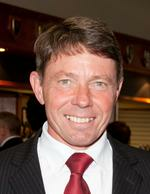 Chris is responsible for the NIA’s involvement in the Nuclear Industry Council and leads work on business capability. Before joining the NIA Chris had a range of consultancy roles with major corporate's and also worked in the Economic Department of the Trades Union Congress as a Senior Policy Officer on industrial policy. Paul Skelton has worked in the nuclear industry since 2002. A member of the Institute of Physics he joined Radioactive Waste Management in 2015 to lead a newly formed Cumbria based team working with Sellafield and the Nuclear Decommissioning Authority in the assessment of waste management proposals arising from the operations at Sellafield and within the UK Civil Spent Fuel and Nuclear Materials Programme. 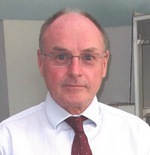 In July 2017 Paul took up the role of Acting Waste Management Director for RWM, the responsibilities of which include the delivery of disposability advice across the UK nuclear industry, the provision of support the Nuclear Decommissioning Authorities Higher Activity Waste and Integrated Waste Management Programmes and ensuring that waste packaged from across the UK can be disposed of within the future Deep Geological Disposal Facility. Prior to joining RWM Paul spent 13 years at Sellafield delivering a number of technical and operational roles within the Sellafield high hazard remediation area. 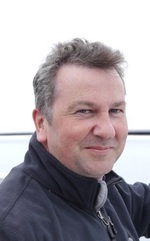 Neil Smart is currently the Chief Scientist for Sellafield Ltd. Neil has over 25 years’ experience in the field radioactive waste management and has held a number of senior technical roles with BNFL,NDA, RWM and Sellafield Ltd. He has a BSc in Applied Chemistry, PhD in Corrosion Science, a MSc in Technology Management and is a Fellow of the Royal Society of Chemistry. 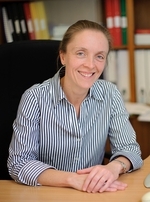 Professor Sarah Thompson MBE FInstP is currently Vice President of the Institute of Physics (Science and Innovation) and was Head of the Department of Physics at the University of York for six years from 2011-2017. She has more than 25 years research experience in the fabrication, structural, magnetic and transport properties of thin film magnetic materials with an emphasis on spintronics and thermal properties; often working at the academic/industry interface. She has also served on Strategic Advisory Teams of the Engineering and Physical Sciences Research Council for a total of nine years. An enthusiast for science communication, she has delivered the BA Kelvin Lecture on “Designer Magnetic Materials”, exhibited at the Royal Society Summer Exhibition and been awarded the Institute of Physics Award for Public Awareness of Physics. In 2012 she was awarded the MBE for services to Higher Education. Before coming to the IAEA, since 1989 he worked as Head of Laboratory at Nuclear Safety Institute (IBRAE), Russian Academy of Sciences, in the physical modelling of fuel performance and safety, and as Professor in Moscow Institute of Physics and Technology (State University). His research results have been published in approximately 140 papers. He was a Member of the OECD Nuclear Energy Agency Expert Group on Reactor Fuel Performance (EGRFP) and a Member of the OECD NEA Working Group on Fuel Safety (WGFS). Diversity - the key to innovation? 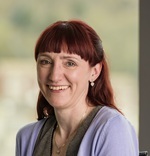 Dawn graduated in 1996 from UMIST with a BSc (Hons) in Physics with Environmental Science, and began her career in the nuclear industry as a graduate trainee with NNC, based in Knutsford. She spent a number of years with NNC, delivering safety case work and managing various projects based at different locations in the UK and became chartered in 2000. She completed her MBA from Loughborough in 2004 alongside working full-time, and began working for Sellafield Ltd in Cumbria in 2006. She has a keen interest in encouraging young people into science, and is an active member of WiN and a STEM ambassador. She recently presented at the International Conference of Women in Physics on the lack of diversity in the industry and the initiatives and ideas which are being used to improve it. Having became a fellow of the Institute of Physics in February this year she is keen to use this and her contacts in the industry to work with others towards a more inclusive, diverse scientific community. Bill Westall is a Principal Consultant, has a BSc and PhD in Chemical Physics and is a member of the Royal Society of Chemistry. He joined the Central Electricity Generating Board in 1987 at the then Berkeley Nuclear Laboratory and has stayed with the Company through all of its post privatisation guises. He has 20 years experience in radiological measurement mostly in support of Magnox reactor decommissioning but also reactor operations for Magnox, AGR and PWR stations. He has experience in applying in-situ gamma spectrometry supported by sampling and subsequent radiochemical analysis for determining radioactive inventories. He currently works within the Radiological Assessment and Shielding Section at Oldbury Technical Centre where he uses his experience to improve the knowledge of the radioactive inventories of wastes due to be processed and packaged.